While things were quite happening over at Tokyo Auto Salon 2014 last weekend, I was disappointed for not being able to be visit and when I finally gave up fussing about it, I went out to look for interesting rides for photoshoot. And, here is what I found. A Nissan Skyline GT-R R34. Some distance away from where I'm staying, there's a street lightly packed with car workshops and uncommon tuners alongside. One of workshops had a very familiar and appealing JDM beast parked at the same spot, daily. The Bayside Blue coloured Skyline GT-R (R34) belongs to Mr Lim, the owner of R One Racing. Mr Lim's R One Racing shop is quite a unique one. He stores and supplies wide range of new/used automotive parts to his clients. Whether you're looking for half-cuts, front/rear bumpers, exhaust manifolds or suspensions, you can always find something you need to replace or add, to your current ride. And, that might explain why Mr Lim's year 1999 Skyline GT-R looks well-maintained and close to factory stock car. A quick short history lesson on the Skyline GT-R. GT-R flagship performance model started off from Skyline Sedan developed by Prince automobile company, before merging with Nissan-Datsun in the 50s. 1969 KPGC10 Skyline GT-R (Hakosuka) was officially the first Skyline GT-R of Nissan history and its unprecedented 50 consecutive wins in JAF Grand Prix began Nissan's GT-R legacy in motorsport. A replacement model, the KPGC110 (Kenmary) was released in '73 but never the successful one. Its evolution continued on with R33 GT-R in '95 and R34 GT-R in '99 with few improvements and tweakings over the successful R32 four-wheel-drive ATTESA E-TS technology. San Yon (34), as commonly called by the Japanese was a popular sports car in the early 2000. Its rivals at that time was Toyota Supra and Mazda RX-7, and fiercely competing against themselves on the touge and circuits. However, the all-wheel-drive GT-R is always at advantage for having more grip and faster straight speeds, making it a favourite among drivers. Japanese tuners like Mine's, MCR, Top Secret (just to name a few) dedicate their life in building their perfect GT-R to bring out the true performance on tracks. The car made even more popular by the lost Paul Walker in the movie 2 Fast & 2 Furious and frequent appearance in famous manga Initial D and Wangan Midnight. 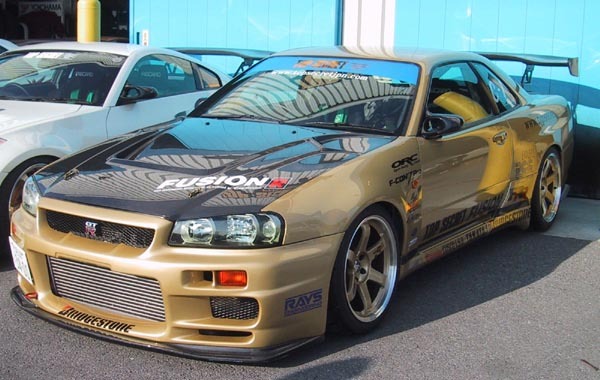 This is Mr Lim's Nissan Skyline GT-R R34 produced in year '99. It's a standard version (not V-Spec) GT-R driven daily to and fro his workplace. When asked what's the reason he chooses the Skyline rather than other JDM machines, he casually answered "Because it is a good car!". Haha Such a simple answer, but actually means a lot. The emblem that inherits Nissan's long motorsport history is one of the context in his answer. Next, is possibly the high performance of RB26DETT engine technology passed down from R32. RB26DETT is a 2.6L twin-turbo straight-six engine that offers high output and great throttle response by delivering all its power to the ground via intelligent ATTESSA-ETS system. ATTESSA-ETS automatically calculates and transfer torque to front and rear wheels depending where it is needed for the best traction result. The engine bay on Mr Lim's R34 shows that it is not so stock after all. RB26DETT engine remains unbored but fitted with many aftermarket parts like Nismo intake manifold, HKS timing belt, Greddy T517 twin-turbo system and boost controller, ARC intercooler, RSR exhaust and others. With these components, his R34 GT-R is capable of achieving 400hp, from standard 280hp after dyno measurements. 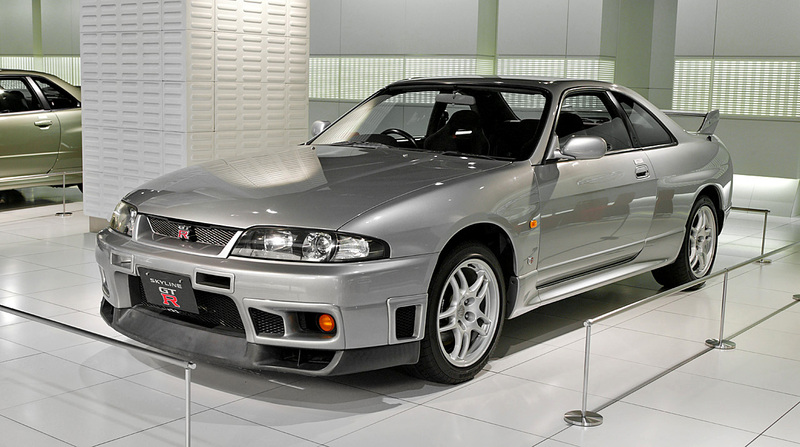 The original serial number on the plaque confirms the GT-R R34 was genuinely made in Japan. The standard 6-spoke wheels were replaced with black 18" TE37 wrapped with Yokohama Advan Sport 265/35 tyres on all four while, stock Brembo brakes remain unchanged. Popped open the doors, you could find the interior as if it has been untouched. The owner kept it clean and simple without any aftermarket gauges or bucket seats. Instantly, you'd understand this car is not made for the track. It's a GT-R meant to be driven moderately on the streets. The only thing different inside the car is the instrument cluster. Standard 10,000rpm tachometer was removed and fitted with Nismo's 11,000rpm tachometer and 320km/h speedometer. Hence, the Nismo badge on the cluster. More stock awesomeness can be found at the back: Rear tail lights and spoiler. Sad for Mr Lim, he got to let the car go due to his inability to use clutch effectively. He is selling it at RM150,000, a little expensive for a 15yo car but, it certainly worth the value since Skylines are no longer in production and this one here is a legit Skyline GT-R with RB26 engine inside. One thing for sure, it came with a brilliant number plate which clearly illustrates the car you're driving. 34! Thanks Mr Lim from R One Racing for letting me spend some time photoshooting your awesome Skyline GT-R. This is definitely a day well spent on admiring this rare JDM treasure. Guys, do visit his workshop if you need any spare parts for your ride or simply dropby to admire the GT-R if it is still around. can i know where is the shop location is? Hi Dylan! Thanks for looking. im interested in the car ..
im interested in the car .. and is the price negotiable?? if it is,i would be interested to buy this monster..
im from tawau sabah..veru interested for this car..cash or loan? pless pm me..tq. Hi mr soo! Thanks for visiting my site. say ... what sports car do you own ? How Much Is It And Who Can I Contact To Get It If Its Is Still For Sale? How Much Is It And Who Can I Contact To Get It If Its Is Still For Sale?cash or loan? pless pm me..tq. How Much Is It And Who Can I Contact To Get It If Its Is Still For Sale?cash or loan? pless pm me,my fon no 0138859590.tq. Is this car still available ? Is this car still available ? What is the asking price ? Are You still selling the car?? Hi...awesome R34....is it still up for sale??? Hi Daniel! Oh, that's actually over-usage of the screen causing the plastic to peel off ^^"
Hi ur gtr sold ?? Hi Eric, thanks for visiting. I believe it's not there at the workshop anymore. Probably it has a new owner already. Yeah same question. Do you know wbere can i buy a R34。. still this car?? how much it cost?? The car has been sold and now going for Horsepower upgrade. Hi Irwan! Great to hear that. where is this place to want to visit this place. It will make it's refresh debut somewhere in ASEAN soon. Given some NISMO & Tomei goodness by it's owner. Wow! Really? Look forward seeing it soon. Great to know owner is taking good care of it. It was featured at a motorshow in Brunei recently. I might update once this godzilla is fully completed. Hi Irwan. Is the R34 going for sale at the moment?